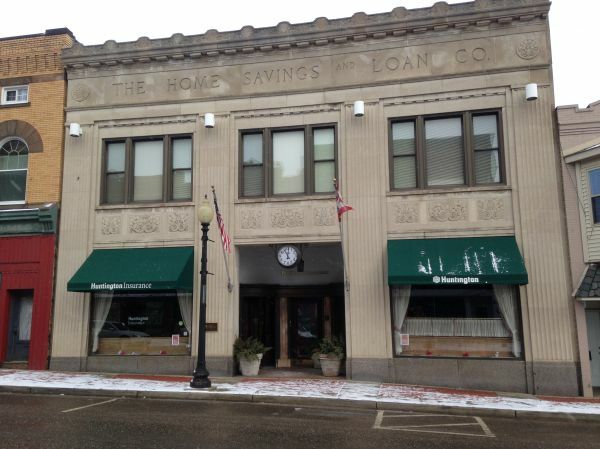 Prestigious historic bank building 1st floor space for lease in historic downtown Salem. 3495 square feet with 4 offices, bullpen that can hold an additional 3-4 offices, large conference room, reception/lobby area, break room, basement storage, and 10 parking spaces. The building can be leased fully or partially furnished. Many original features remain, marble and mahogany interior and the only revolving door in Columbiana County.